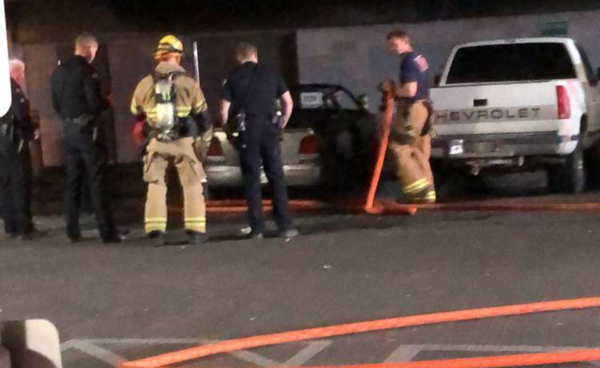 Around 23:00 on March 28th, 2019 Grand Junction Regional Communication Center dispatched Grand Junction Fire Department to a motor vehicle fire inside the Rood Avenue Parking Garage, 435 Rood Ave. Truck 1 arrived to find a four story parking structure with smoke rolling out of the structure and an active car fire inside on the ground level. Truck 1 was able to stretch a pre-connect handline directly inside and go for fire attack. Damage was limited to a light fixture and the car which was a complete loss. The fire is under investigation.